Bread is also special. From the time when I was very small, "Grampy Bread" was a fixture of my visits to my grandparents' house. 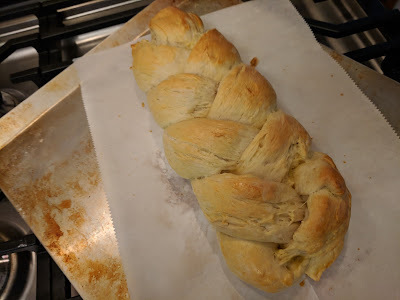 It came from a shop near their house, and was delicious, especially with a bit of butter. Sometimes my grandfather (Grampy) would drive over early enough in the morning to walk me to school, just the two of us, for some special Grampy time. 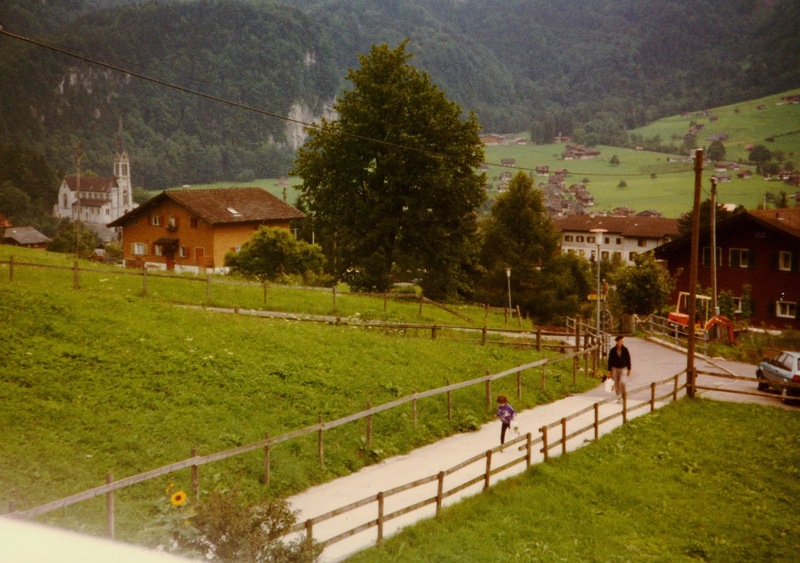 While we were in Switzerland, I would wake up early to walk with my Grampy to a local bakery to buy bread and rolls for everyone's breakfast. It was another special time, early in the morning, with just Grampy and me. So bread and Switzerland are special. Walking back from the bakery. When I thought I about what I wanted to bake from Switzerland, I knew it would be bread. 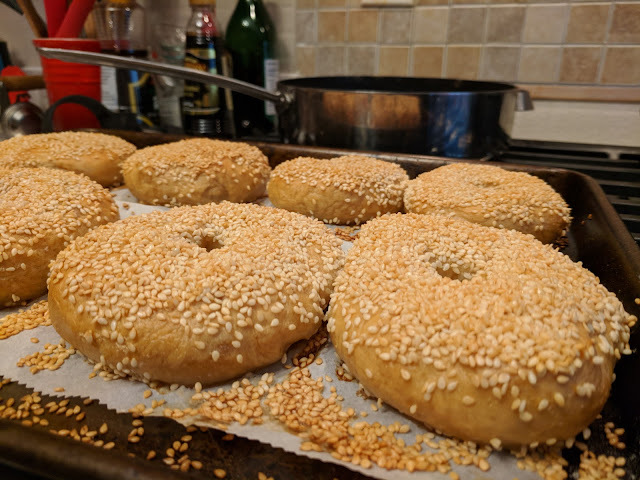 Zopf was the first thing I thought of: my mom has made it before, so I was familiar with it. 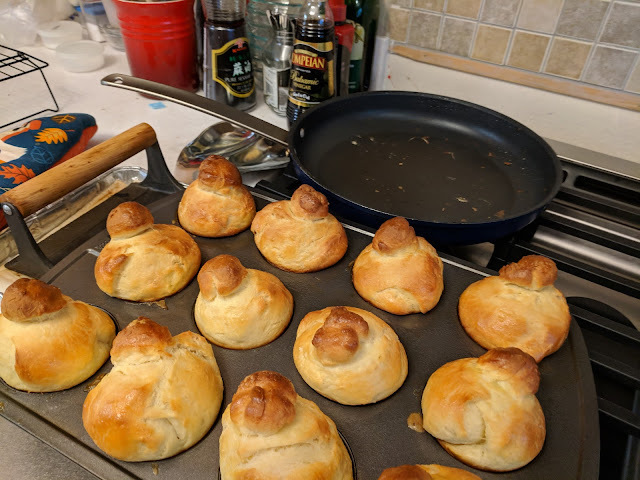 Zopf is also the first thing that comes up if you choose to Google "Swiss bread," so while there are surely dozens of other traditional breads baked in Switzerland, zopf felt the most appropriate for this project. I perhaps should have left the bread in the oven a little longer, but feel it was tasty anyway. It is best served warm or lightly toasted, with a generous spread of jam or Nutella. I enjoyed mine with homemade strawberry jam and a side of nostalgia. A lovely narrative, but the problem is that your zopf is in CO while I am in CA.